More staff on the way out - when will RIM stop the rot? Research in Motion may be about to let another 3,000 of its staff go as the company desperately tries to cut its costs and keep its head above water. Back in May we reported that RIM was cutting 2,000 jobs, and CEO Thorsten Heins confirmed "there will be significant spending reductions and headcount reductions in some areas". Now according to sources from Cantech Letter, RIM will show 3,000 of its staff the door on August 13, as the Canadian firms looks to get the layoffs out of the way before the end of the month. Update: RIM has already confirmed that it will be "reducing its global workforce by approximately 5,000 over the course of the remaining fiscal year" as the firm "looks at new opportunities for the business and continues to invest in key programmes including BlackBerry 10, customer support and BlackBerry service levels" - so it will come as no surprise to staff that 3,000 will be moved on. We've already seen some high-profile figures leave RIM in recent times, with Mike Lazardis and Jim Balsillie resigning as co-CEOs in January (although Lazardis is still with the firm), and then the Chief Legal Officer walking out at the end of May. And we can now add another name to the list, with TAT (The Astonishing Tribe) founder Hampus Jakobsson, leaving the company to pursue other projects. 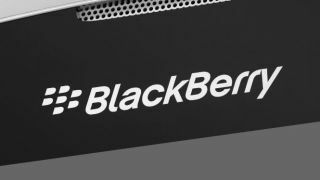 RIM acquired TAT in December 2010 to help develop the user experience of its BlackBerry 10 operating system, which has now been delayed until next year. Update: Regarding the departure of Jakobsson, RIM told TechRadar: "RIM can confirm that Hampus Jakobsson has left his role as Director, Strategic Alliances at RIM. We wish him the best. "The BlackBerry 10 UI team, which includes many members of The Astonishing Tribe, as well as others around the world, remains on track to deliver BlackBerry 10 in the first quarter of 2013." It's certainly darks times in the RIM camp, and the firm will be hoping it can start looking forwards once August is over and really build up to the all important launch of BB10.